When a teacher adds a child they can invite one of that child’s family members (usually a parent). That person can then choose whether or not to invite more family members, including the other parent. 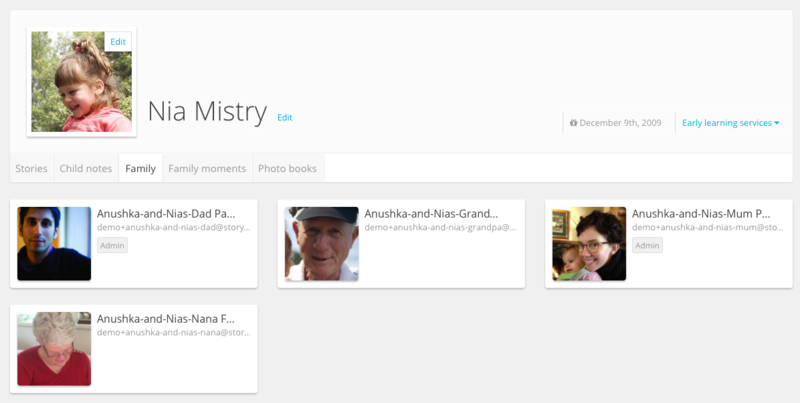 Invited family members will be shown on the child’s profile page under the ‘Family’ tab. You’ll be able to view each person’s name, profile image, and email address. If a person is an admin (an admin can manage a child’s account), this will be shown next to their name.